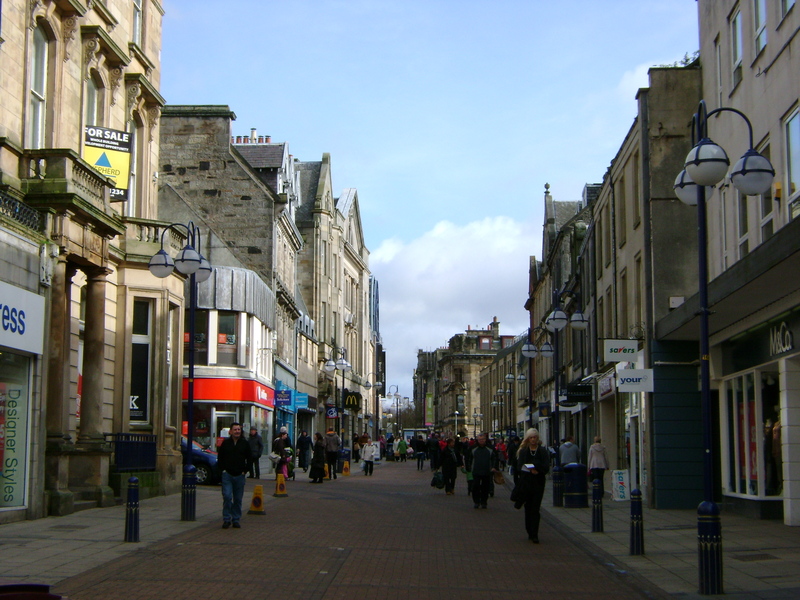 This is the second of a two-part blog on high streets and town centres. In our last post, we highlighted some recent publications that have sought to address the challenges facing our high streets and town centres. We looked at how towns could work to diversify their retail offer, placing greater focus upon developing experiences and services that are not easily replicated online – such as hair and beauty services, gyms, cinema, restaurants and nightlife. We also highlighted the benefits of identifying a town centre’s unique selling point (USP), capitalising on the opportunities presented by the widespread growth of technology, and offering various forms of support to local businesses and entrepreneurs. In this post, we consider how community involvement, good quality inclusive urban design, the promotion of healthy environments and the creation of homes on the high street can all provide ways to promote and support town centres to better meet the needs of local people in a changing retail and economic environment. The town centre has long been considered the beating heart of a community. As such, it makes sense that any attempt to revitalise them would have local people at its heart. In Dunfermline, a pilot placemaking project has made use of innovative, interactive methods of engagement with young people to help plan and deliver town centre improvements. Young people were asked to assess the quality of the town centre and to identify areas where improvements could be made, using tools such as the Place Standard and the Town Centre Toolkit. There are lots of other great community-focused town centre initiatives. ‘Can Do Places’ aims to engage the local community in order to bring empty town centre properties back into use in various ways, for example, by providing spaces for budding entrepreneurs or supporting community arts and crafts. Stalled Spaces Scotland is another noteworthy project – with a focus on greening derelict, under- or unused outdoor areas. As well as improving the look and feel of a town centre, this scheme also aims to involve the local community and schools in the development and use of the spaces themselves. It goes without saying that if town centres are to attract both people and businesses then they must be both attractive and accessible – easily walkable, safe, and clean. Indeed, amongst its findings, the High Street 2030 report highlights “calls for improved accessibility that is more environmentally-friendly, new public spaces or areas, centres that better serve older people”. There has also been considerable discussion around how the design of town centres (and urban areas in general) impact upon various vulnerable groups. We have blogged on this subject on various occasions, focusing in turn on the creation of places that address the needs of older people, people with dementia, autistic people and children. There has also been widespread discussion of the relative advantages and disadvantages of shared space street design – which has been used by many places in the UK in attempt to revitalise their town centre spaces with varying levels of success. As well as their role in the creation of inclusive, accessible spaces for all, there has been some focus upon the link between high streets and health. Last year, Public Health England published guidance on the development of ‘healthy high streets’ – high streets that have a positive influence on the health of local people. It focuses on elements such as air quality, enhanced walkability, the provision of good quality street design, street furniture, and communal spaces. It argues that the development of healthy high streets will support economic growth as well as community cohesion. It also approaches the subject of diversity on the high street – recommending that there is an adequate number of healthy and affordable food outlets and limiting the number of alcohol, betting and payday loan outlets. Another way of bringing people back into the high street is to have them literally live there. At the end of 2017, the Federation of Master Builders published a report ‘Homes on our high streets’, which argued that “revitalising our high streets through well planned and designed residential units could help rejuvenate smaller town centres”. For example, Aldershot, as highlighted in the High Streets 2030 report, has been making use of the Housing Infrastructure Fund to promote residential development in the town centre and has undertaken property acquisition in the town centre, most recently acquiring the former Marks & Spencer store. Creating additional homes above shops or in former retail units not only helps to make use of vacant properties and regenerate town centres, but may also help to address housing shortages in many areas. So while 2019 may present high streets and town centres with some of their toughest challenges yet, there is a wealth of research, experiences and innovative ideas on which to draw. The newly announced Future High Streets Fund will no doubt be of use to help put these ideas into practice.